I’ve worked with hundreds, if not thousands, of people over the years. I’ve liked most of them, been friends with a lot of them, and loved many of them. Cindy was definitely in the last category. 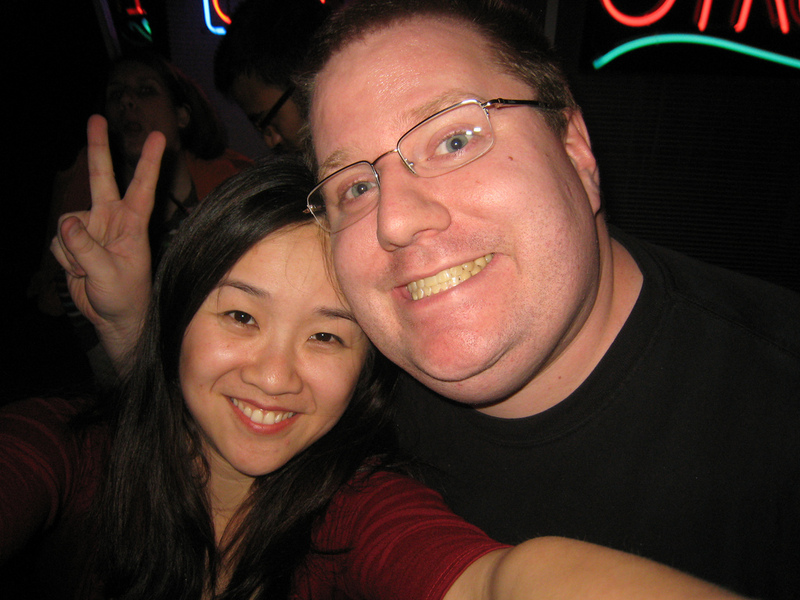 Cindy Li and I became fast friends and co-conspirators while we both worked at AOL. We were on the CSS Working Group together. We went to SxSW Interactive many many times (we had different but overlapping “gangs” at SxSW but we always intersected somehow during the conference – sometimes in the green room, where we’d try to distract each other’s panelists). We went to countless dinners, lunches and dim sum brunches. We caused trouble. With our pal Jason, we built ficlets and came up with a t-shirt that became a bit of a sensation. 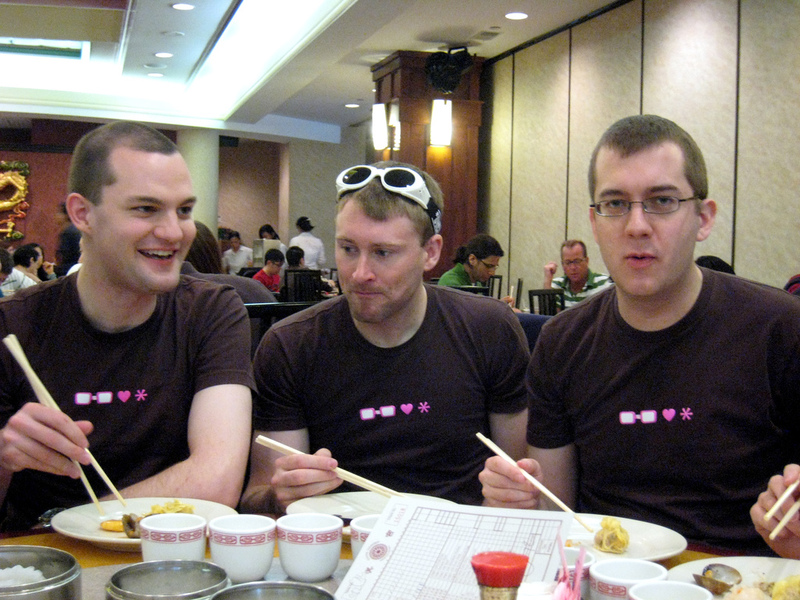 Matt Harris, Patrick Haney and Jason Garber sporting the Geeks Love * shirt at dim sum. Cindy died on Monday, 10/15/2018. Cindy was amazing. 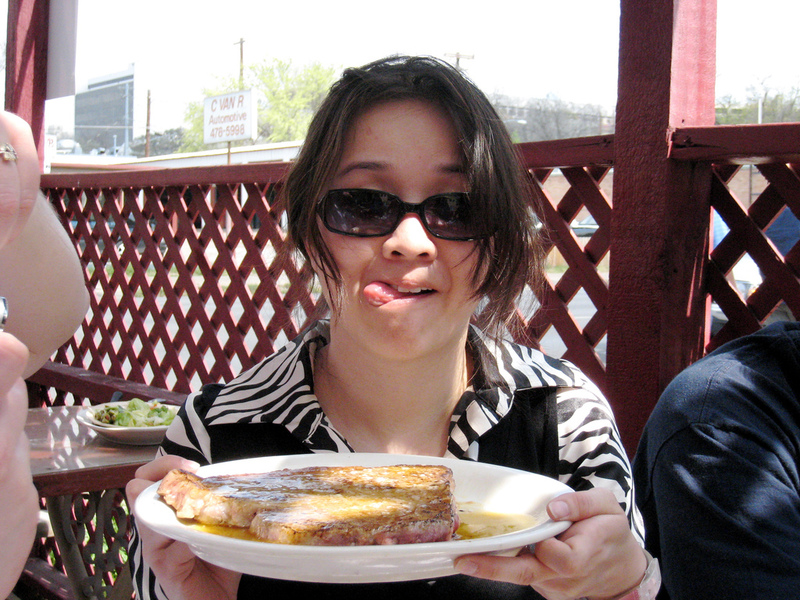 She was equal parts creative, silly, kind, funny and smart. She was a perfect co-conspirator. She could take bad ideas and make them brilliant. 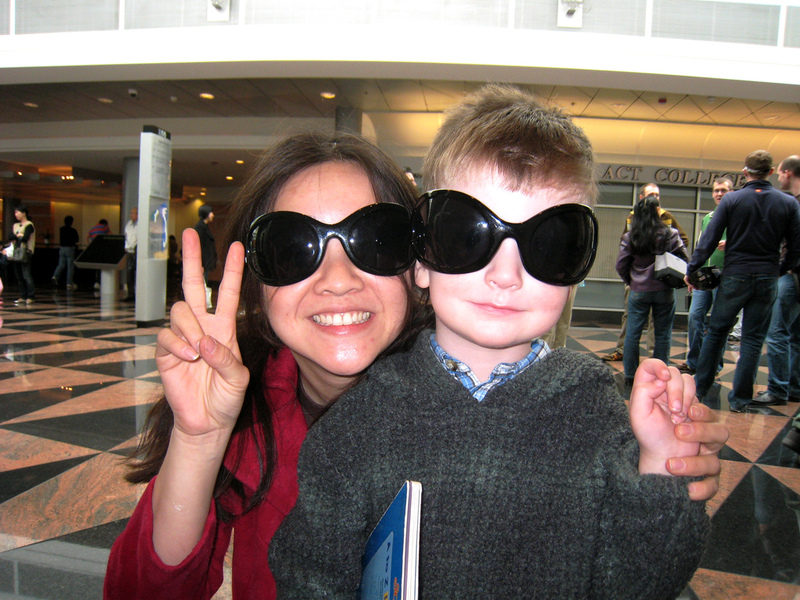 She effortlessly seemed to rally people to join the Cindy Li Vortex of Fun Adventures. Cindy and Kevin making stupid faces for the camera. 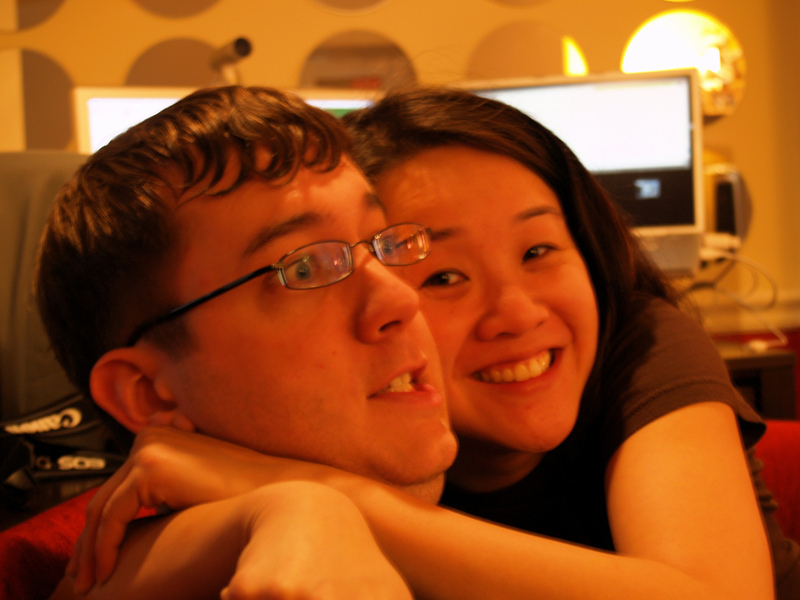 Cindy tormenting Jason, one of her faaaavorite pasttimes. Cindy brought people together. She was the ultimate connector, and even though she’s gone, the connections she made with all of the people she impacted all over the world will remain. 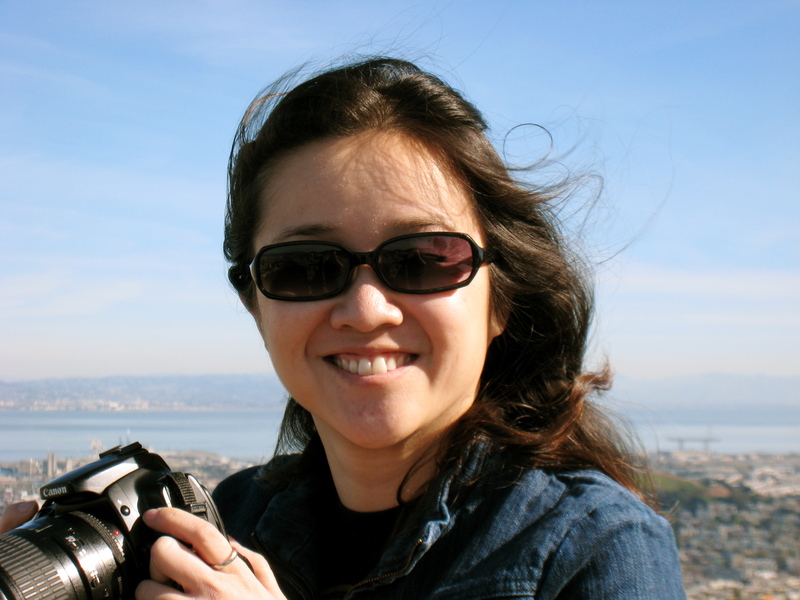 After she was diagnosed, Cindy organized a small group of friends from all over the world into her support system. We were all around, talking to each other about how best to help her and her family, and the whole while she was sick, she was there being the life of the party, right up until the end. Even with her illness, she was connecting people and spreading love, kindness and empathy. She was a vortex of love, and fun, and whimsy, and adventure, and you weren’t just along for the ride, you were an integral part of it. I don’t think anyone who knew Cindy thought they were anything less than 100% included and in on the joke, and that’s a rare and beautiful thing. She was that way until the day she left, I imagine riding a Hello Kitty cloud on her way to organize an adventure with St. Peter and redecorate the gates of Heaven. Her friends organized a site for sharing memories of Cindy as a way to share with her how much she means to all of us, and as a way for her sons to understand what she meant to us when they’re older. You can share your own memory of Cindy by following the instructions there, read her obituary, and help her kids out if you’re able. I sent this list out to yesterday’s RailsBridge students as next steps if the introductory class lit a fire and they want to learn more. And then I realized it’s a pretty good list, so I’ll share it here too! The GA Tech Coding Boot Camp: Patrick was right, it looks like it starts 1/24! Codecademy’s Web Course: I haven’t looked at this one extensively, but someone mentioned it yesterday, so here you go. Yesterday’s class was great. Lots of teachers in the room and lots of people who had no idea that web development was accessible to “normal” people. It was tons of fun and a great way to shake off a pretty terrible week. I don’t know what’s going on or when we’re going to see the standards come out. Spec X is missing this, this and this! Microsoft took a vacation. IE6 has been out (and broken) for a very long time. We got complacent in our hacks and nonsense to work around its “quirks” and now those bad habits and hacks are getting stale. They don’t move fast enough! See number one. We’re tired of waiting, but laying the blame on the CSS Working Group instead of Microsoft. If Microsoft had been actively engaged in the Working Group this whole time, we’d be a lot farther along. It’s very hard to get to interoperability when the market leader is working on other things. I don’t think I covered everything I wanted to say. There are a lot of things swirling around in my head right now. I had my mind blown last week by this realization and it will probably take more thinking about it before it really crystalizes and I can really explain what I’m feeling. But, right now, this is it, and that’s as good as I’ve got: It feels like I’ve spent the last 7 years living a lie, but the truth is so much more interesting and complex than the lie ever was. It feels like a stronger foundation, but wider and darker in the corners, than the one I’ve been standing on. I don’t know what the point of this is, except that I agree with both Ian and fantasai – something is wrong. The CSS Working Group is in jeopardy of becoming irrelevant, and unless the group gets new blood and can open up, we’re in real trouble. The worst part is, I’ve had to admit to myself that I don’t have the time or ability to do anything about it other than nod and agree with them. I’m hoping that by sharing my perspective as a web developer, bringing more designers into the group, I’ve done something worthwhile in my time in the group. It certainly doesn’t feel like enough. This weekend is all about recovery… soup, sleep, stupid movies and football. Oh yeah, and I updated the blogroll today. It’s much bigger than it was before, and is still an export of my feeds from NetNewsWire (minus all the Flickr feeds, wikis, work and my stuff). So, it’s actually a pretty decent representation of what I follow. If you can wait until October, you should get Transcending CSS . Andy showed me some of it at WWW2006, and it’s really cool. There are only a few designery standardsy books I own, including the orange bible and Dan’s second book and The Zen of CSS Design. This one will join ’em on the shelf. I’ve been at AOL for eleven years, and this is the most fun I’ve ever had. I can’t wait to see what happens next! Just sayin’… next time, I’m bringing even more cables with me.